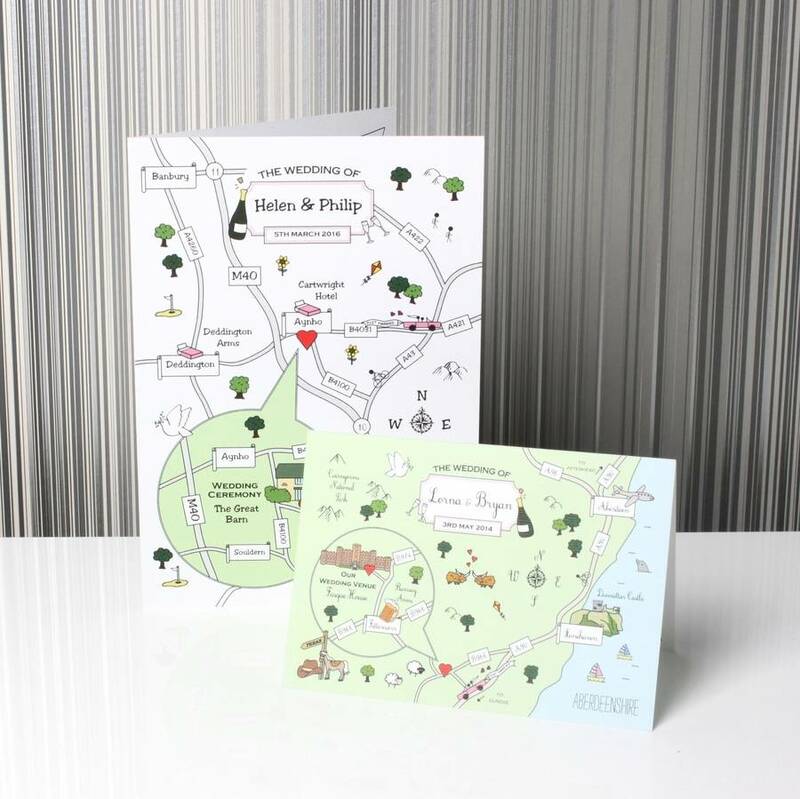 Custom made Cute Map folded cards are perfect for weddings, birthday parties and events. 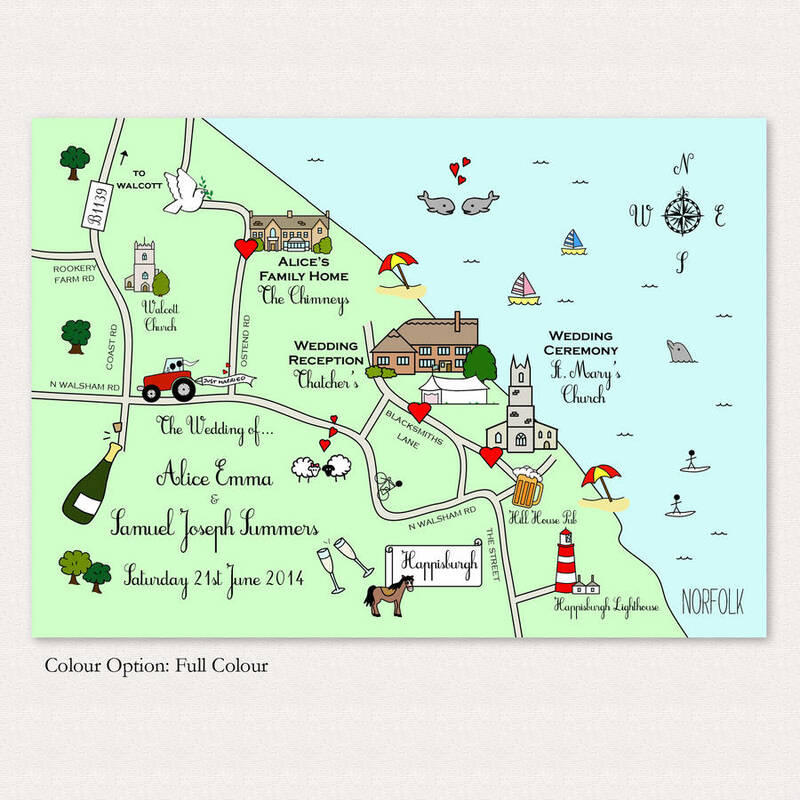 Cute Maps are designed utterly bespoke to your chosen area, be it local, national or international. We recommend apx 5/6 locations and can accept bespoke motif requests such as cars, pets and flags. 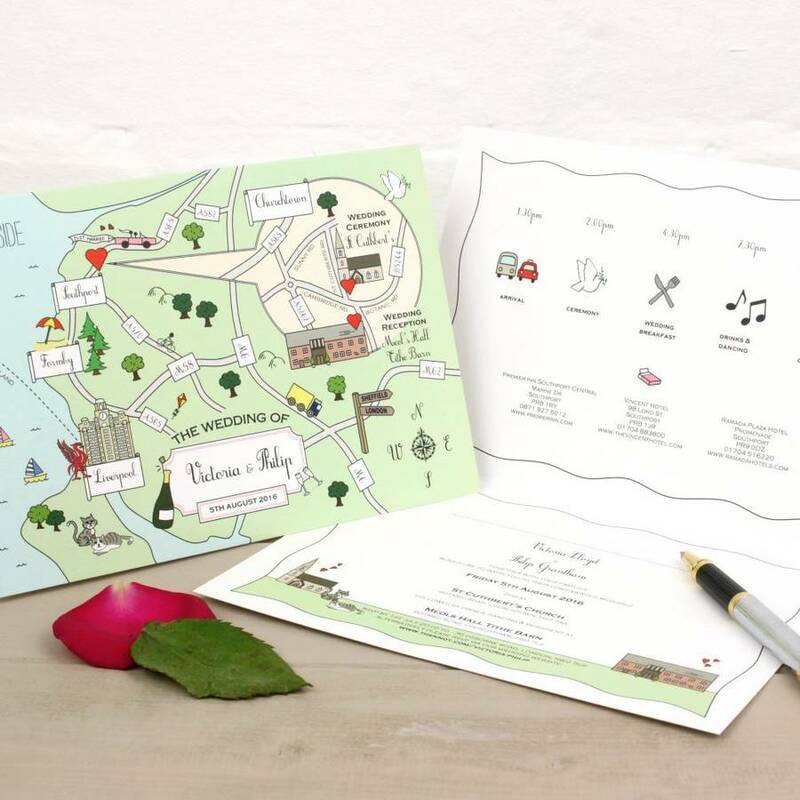 Cute Maps can also be customised with your colours and fonts to match your stationery theme. 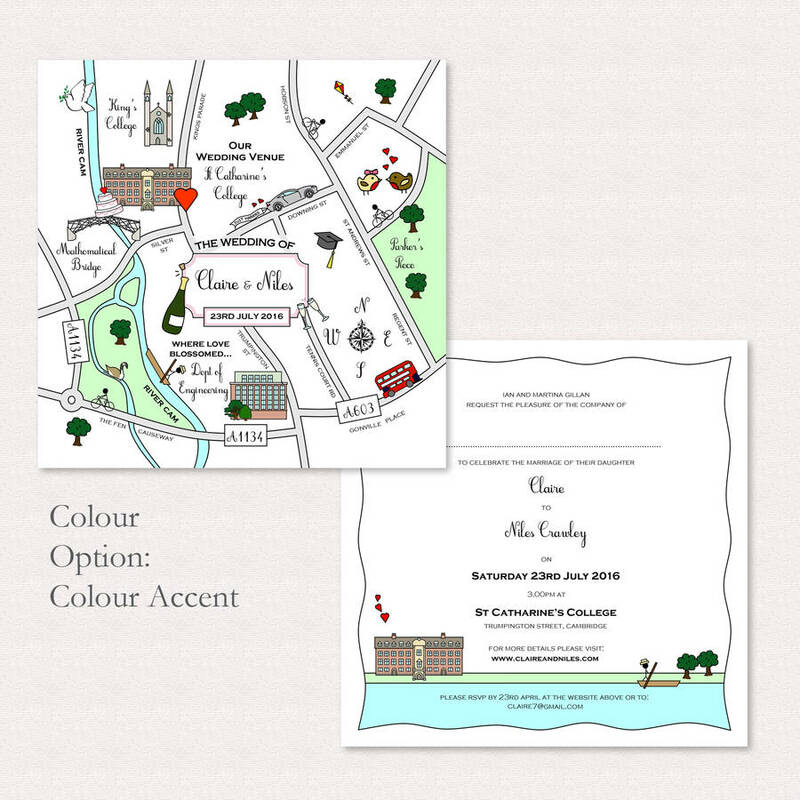 Each invitation includes your personalised inside wording. If you have any particular idea in mind we'd be happy to interpret this, or alternatively, we can put together more traditional wording. Folded cards are available in two sizes: Standard & Large (see dimensions). Please note it is only possible to print on both inside sides of the Large Folded Cards. 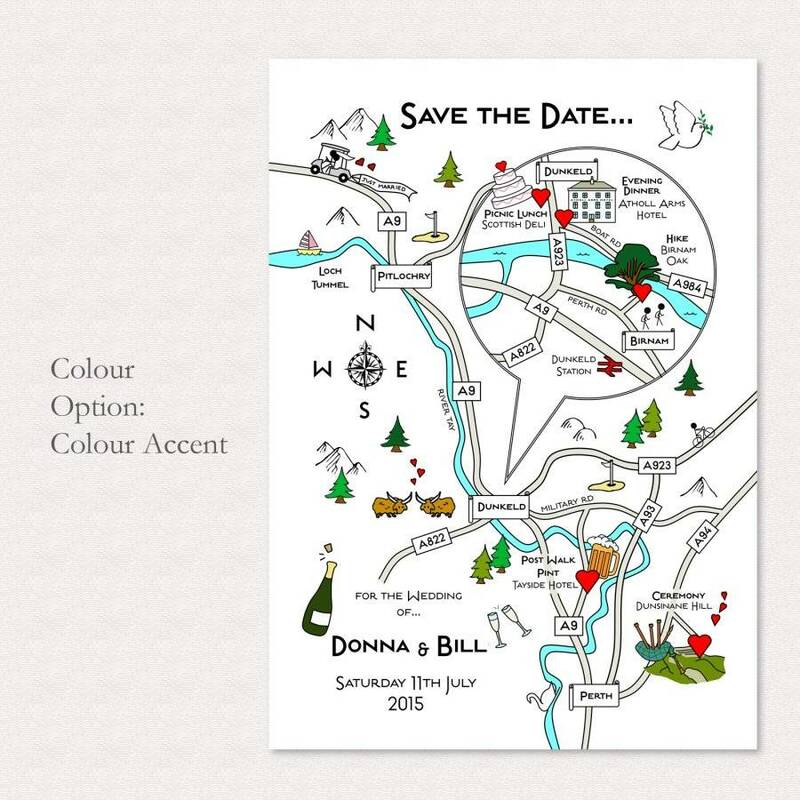 Single sample cards of existing designs are also available to order. These are for the customer to sample the feel and quality of the finish. Printed on 280gsm premium textured card. High quality laid envelopes included. 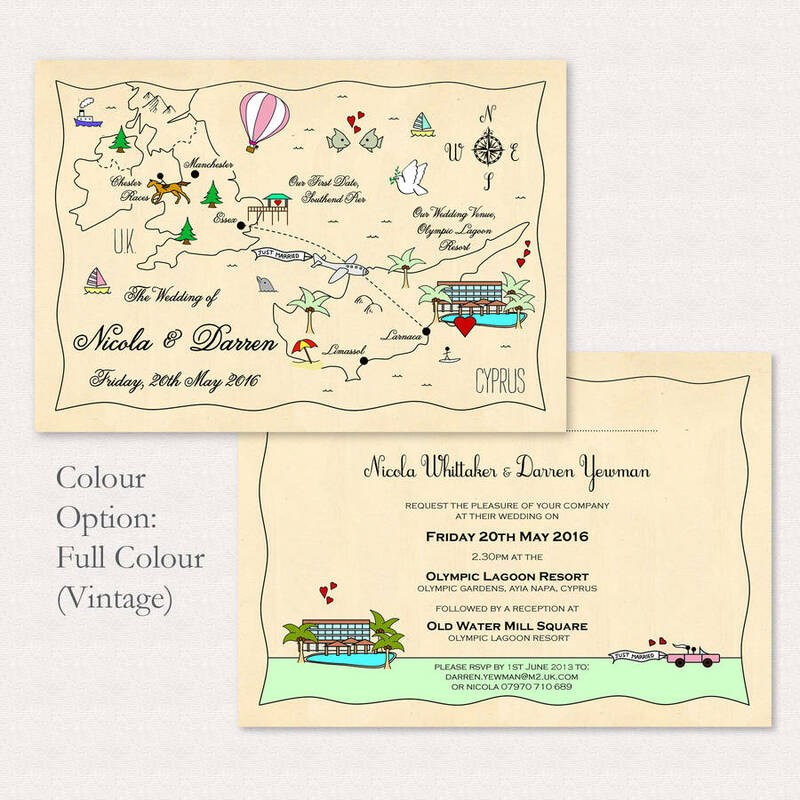 The order process: You will first be emailed a list of info required on your wedding, event, journey or places. 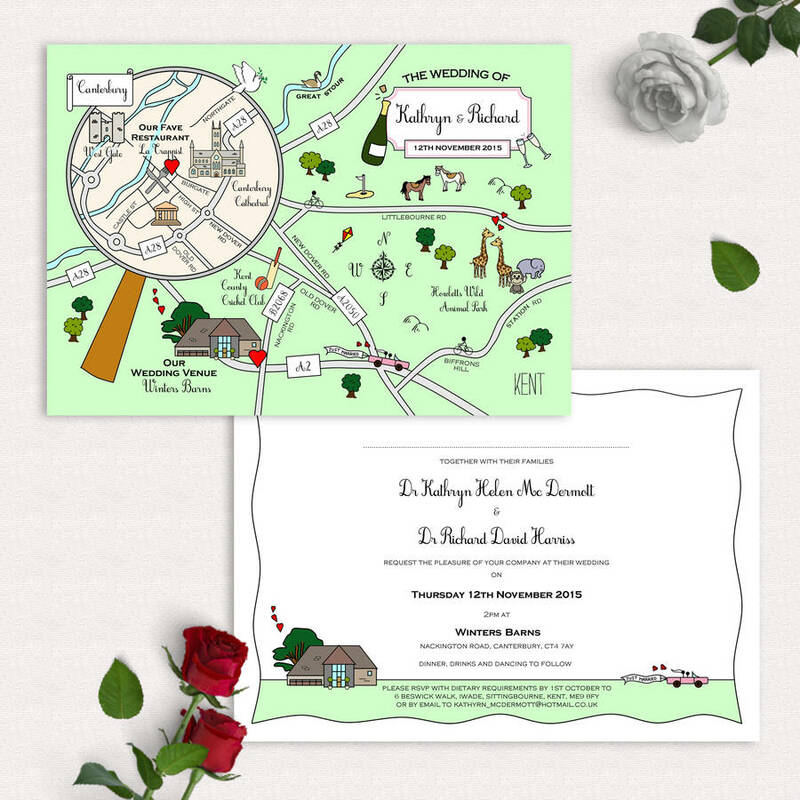 Within 21 days of submitting your information you will receive a low res proof so you can advise of any final tweaks before your final Cute Map card will go to print. Standard Card: 148 x 105mm (A6) - Landscape or Portrait (please specify if you have a preference). Please note it is only possible to print on the typical front & single inside page of the folded card. Large Card: 178 x 127mm (5x7in) - Landscape or Portrait (please specify of you have a preference). 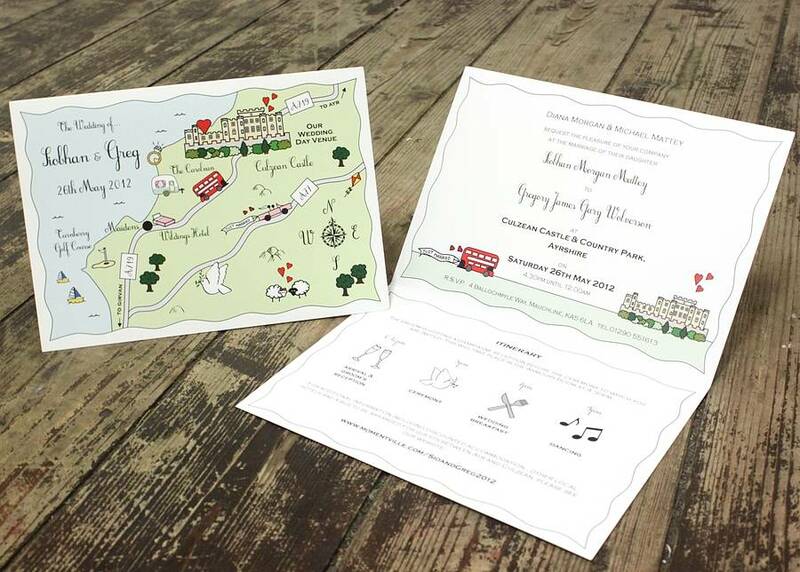 It is possible to use both inside sides to print additional information for your guests. 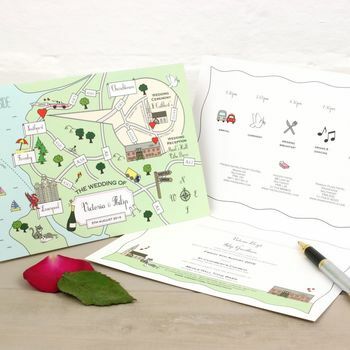 Square Folded Card: 148 x 148mm - It is possible to use both inside siddes to print additional information for your guests. This product is dispatched to you by Cute Maps. Delivery is within 7 days following your final proof approval.